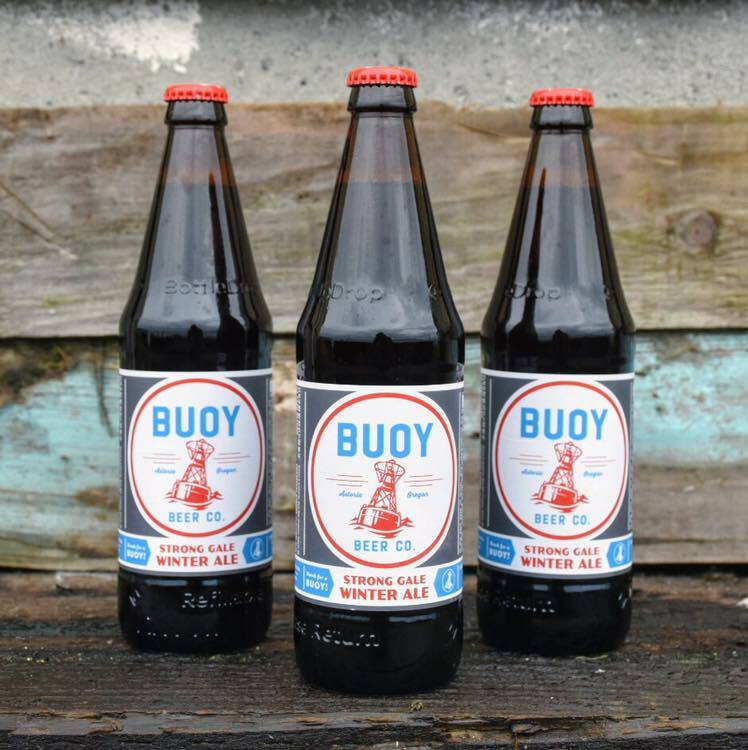 As Oregon’s North Coast braces for a stormy winter, Buoy Beer from Astoria has just released a beer to drink during this season of heavy rain and windy days. Strong Gale Winter Ale is available in 16.9oz bottles and on draft throughout Buoy Beer’s distribution footprint. Strong Gale Winter Ale is a beer designed to keep Astorians a bit warmer as the temperature dips. The seasonal beer is brewed with Caramel and Chocolate malts that gives this beer a touch of sweetness and warm roasty aromas. These malts are balanced out from the brewery’s use of copious amounts of Simcoe, Comet, and Centennial hops. Strong Gale Winter Ale sits at 7.7% ABV and 70 IBUs. We are interested in running this on The Craft Beer channel on Roku. Please email me.